Underwater, rugged cameras are of one of the most popular types of cameras in the recent years. We are sure to see this trend continue through 2017. and well beyond. These are usually your standard point-and-shoots, with a few mirrorless options here and there, except they are made to last under difficult conditions. They can go deep underwater, survive a hard drop or even survive in freezing temperatures. Unlike most action cameras, these do not need an additional external casing for water-resistance and feature more traditional sensors and lens. Given that their prime feature is ruggedness, we do not see big bumps when it comes to specifications, even when looking at them a few generations apart. We have prepared for you a list of five best underwater cameras. Some are a year or two old, but as we already explained, that is nothing to be worried about. The first and the most obvious thing to watch out for when choosing an underwater camera is how deep it can go. The cameras in our list are water-proof from 15 meters (50 feet) all the way down to 30 meters (100 feet), depending on the camera. Do you need a waterproof camera just for snorkeling for your kids, or are you in for serious scuba diving? We’ve covered all scenarios. After you have determined the depth you need, you should watch out for general image quality and performance. Do you want to take photos just for social media and for showing off to family or friends, or are you looking to print your photos? Consider that when you choose your camera. Most budget-friendly cameras have a hard time coping with a low-light environment, which can be the case if you go deeper underwater. Other features to watch out for include Wi-Fi connectivity for easier sharing, GPS integration, optical zoom and interchangeable lens, among others. All these cameras are chosen because they are capable shooters and are water-proof. But they come from different classes and price ranges. Depending on your budget, choose the camera which best suits your needs. We have found something for everyone. 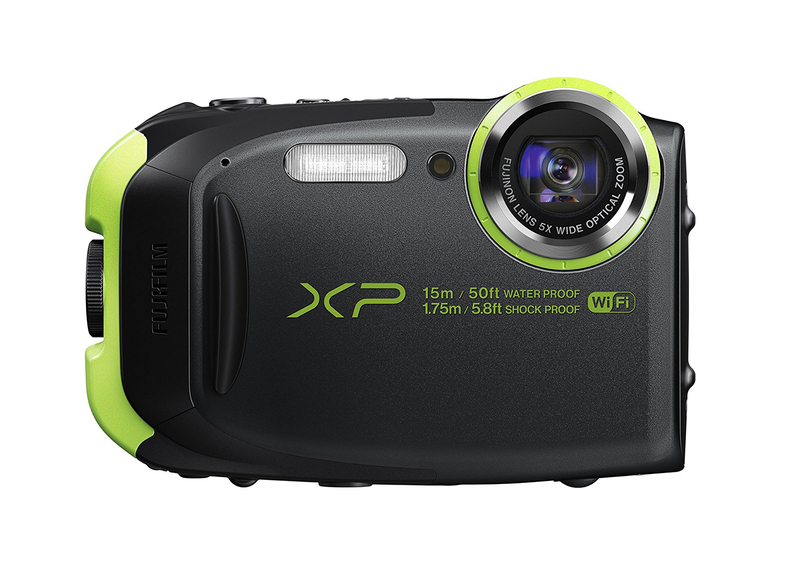 Fujifilm XP80 is a very affordable underwater rugged camera. Most rugged cameras in this price range tend to sacrifice one or more key capabilities, or at least feature a lower quality of said features. More often than not, image quality comes out unimpressive. In case of the XP80, it hard to find the downside, at least until you dig a little deeper. The design gives off a modern feel although it doesn't look particularly sophisticated. It comes in several different colors, but the base color is always black, with parts being either green, yellow or blue. Overall it looks pretty cool. The body is made of hard plastic and is rugged in critical places. It feels light but sturdy. We've tested it against the designated water-proof and shock-proof mark and it turned out it can handle itself. It can go as deep as 15m (50ft) underwater and is resistant to shock if dropped from the height of up to 1.5m (5.8ft). The one place on the camera to watch out for before diving in is on it's side. There is rugged compartment which holds the battery, HDMI port and the USB port. You need to make sure the rugged door to this compartment is sealed shut, so no water can come in. There is a dedicated lock just above the door which allows you to manually lock or unlock it. Once powered on, the camera will actually warn you each time to check the lock. All buttons reside either on top or on the rear of the camera. 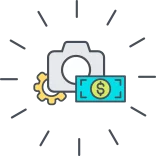 Button placement is pretty standard for a point-and-shoot camera, and a dedicated video recording button is always nice to see. Note that pressing the video button will do nothing if the camera is not first turned on using the power button. This is not a problem but it would be a nice touch if you could go directly to video recording. On the rear you will find the usual circular four-way navigation buttons, each of which has a double functionality for Macro, Flash, Exposure and Shutter delay. On top of the rear side you will find Zoom in and Zoom Out buttons, as well as a dedicated button which will take you in the gallery. Just below the navigation buttons, there is a dedicated burst-mode button as well as a Back button. One of the features which really makes up happy is the integrated Wi-Fi connectivity. Especially because there are so many more expensive cameras which simply lack this crucial feature. As you know, you can use Wi-Fi to connect the camera to your smartphone or laptop, and transfer photos on-the-go. This takes off a ton of hassle of having to transfer the files over to a PC via USB cable. On top of that, you will be able to control the camera remotely via a smartphone App. This includes taking stills, starting or stopping video recording and fiddling with settings. Finally, let us inspect how the Fujifilm XP80 performs as a shooter. The sensor behind all of it is a 1/2.3" CMOS with 16 megapixels (MP). This a pretty good sensor for this class of camera. So, it can capture 16 MP photos and 1080p video in 60 frames per second (fps). We were very impressed both with image and video quality. Images came out very sharp, clean and colorful. Having the 60fps video means you will able to record nice slow motion videos. The lens are fixed, meaning there are no moving parts outside the camera. Focal length ranges from 28 – 140mm which gives you impressive optical zoom. We have found both video and photo still retain impressive quality even when fully zoomed. An important part of any camera is image stabilization. 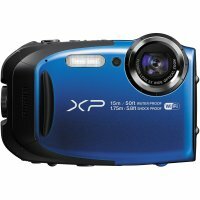 The XP80 has sensor-shift IS which makes sure to avoid blurry photos and shaky video. It works rather well although not as effective as IS in some more expensive cameras. ISO range is the same as with almost all cameras in this class, from ISO100 to ISO6400. We did our testing under a clear sky with lots of sunlight, so there was no need to go high up with ISO. We did take a few snaps under dim lighting indoors with ISO3200, which produces a considerable amount of noise. Although photos are excellent in good lighting, this is not a great camera for nighttime photography. Generally, we recommend sticking to ISO100 - ISO1600. Use ISO3200 if you must, but avoid the maximum settings of ISO6400. As far as performance in concerned, you will get an impressive 10 frames per second continuous shooting, and the camera is rather fast to turn too. What did somewhat disappoint is Autofocus (AF) performance. While the AF does its job with relatively good accuracy, it is rather slow. While it does support tracking and focusing on moving subjects, it doesn't do a very good job at it. It can track, but only if the subject is moving slowly, otherwise it is easy to lose focus. Digging into the menu, you will find tons of features. There are modes, or "scenes" for almost any situation. There are the standard modes such as Auto, Night, Landscape, Portrait, etc. Additionally, there are specialized modes for things like underwater Macro shooting, 360-degree Panorama and many more. We have found the Program mode suits us best, allowing for maximum manual control. Once you set up your Program settings to your liking, it will remember them even after you restart the camera. The Fujifilm XP80 is an excellent budget rugged camera. It suitable for just about any type of adventure or extreme sports shooting. Most importantly, it won't break down underwater or if dropped from standard height. You can even give it to your kids and be worry-free that they could break it. It doesn't have many downside except for rather weak battery life and slow Autofocus, but for this money, these points we can forgive. 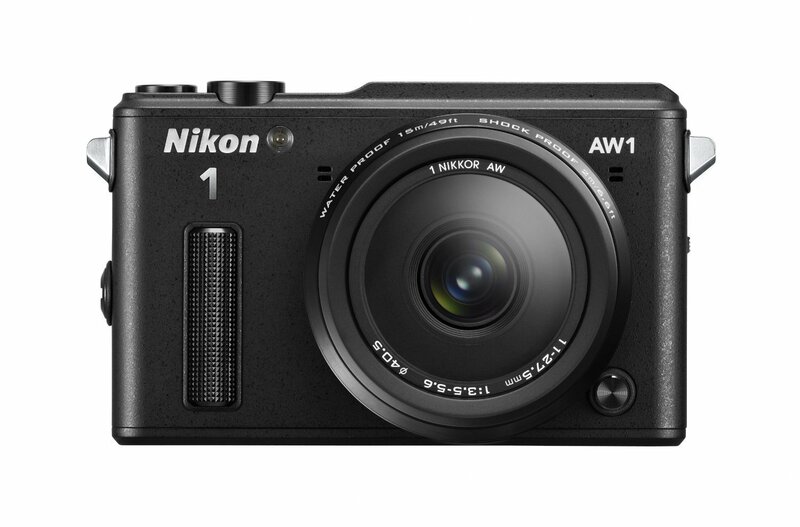 Nikon 1 AW1 is a MILC (Mirrorless Interchangeable Lens Camera) which is waterproof, shockproof and freezeproof. It features a high quality body combined with a capable sensor and lens. Compact, simple to use cameras have always been very popular with consumers. In the last few years, we have also seen the rise different niche cameras, such as action cameras, drone cameras and rugged cameras. 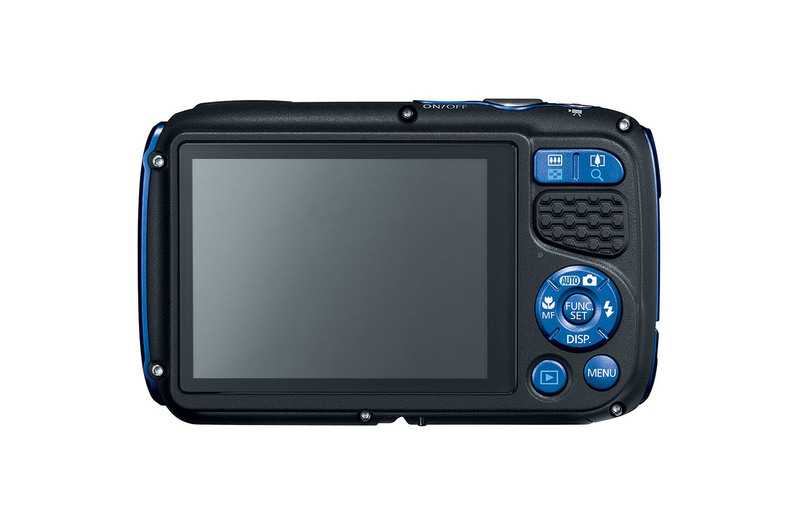 What has been popular lately are rugged waterproof cameras. If to that waterproofness you add shock-proof and freeze-proof, you get what is commonly called a tough camera. While many manufacturers build awesome tough cameras, they are usually aimed at adventure, family and casual sport type of shooting. Meaning, they are not exactly top picks for enthusiast photographers, prosumers or professional photographers. Nikon, with the relatively new Nikon 1 AW1 aims to change that and bring the two worlds of photography closer together. 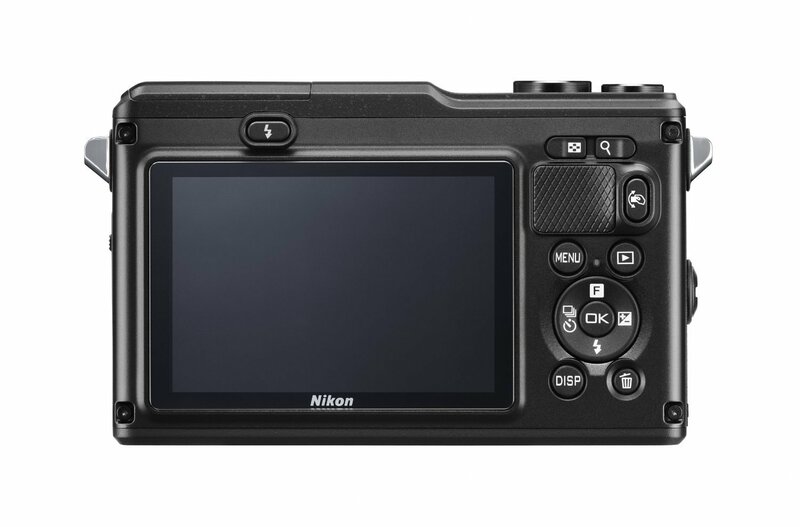 Being a mirrorless camera, the AW1 sports a 1-inch 14MP (megapixel) sensor which larger than what most point-and-shoot cameras pack in their bodies. Having interchangeable lens means that unlike all other tough cameras, you will be able to change different lens depending on what you need given the situation. This is a huge plus for photographers and adventurers who would like more versatility with their camera. Having all this flexibility is nothing new, but when you combine that with a rugged, resistant body, the camera gets a class of its own. That is exactly what the Nikon 1 AW1 is, a one in a class. It is water-proof down to 15 meters (49ft), freeze-proof down –10C (14F) and shock-proof up to 2m (6.6ft). All this is packed in a body made out of stainless steel as well as polycarbonate casing. There are two rugged doors which a user can open, one for the battery and another for USB/HDMI ports. One has to make sure those are clean of sand or other stuff that can get in the way of making a proper seal, thus compromising the water seal. We like how the controls are placed, although the usual shooting mode dial is missing. For different modes, you will have to dig into the menu. On the top, you will find a shutter button, an On/Off switch and a dedicated video recording button. When it comes to the menu, it is intuitive enough but there are so many options to choose from that it can be a bit of a time consumer. On the bright side, shuffling through those options is made easier by a very well lit 3.0-inch LCD screen, which automatically adjusts brightness depending on conditions outside, or manually, depending on user preferences. The 14MP sensor, combined with 11-17.5mm focal length and F/3.5-5.6 aperture lens produces fine photos with impressive sharpness and color reproduction. While the 11mm might sound somewhat wide, note that when sensor's crop factor is consider, the minimal focal length goes up to 30mm full-frame equivalent. In some markets, as a part of the kit, you will also get another lens, a 1 Nikorr F/2.8 10mm prime. These are the only two lens available for this camera at its launch. Fortunately, you can still all other lens from Nikon's mirrorless lineup, but those will not be waterproof. ISO settings range from ISO100 to ISO6400, although we would not recommend using the maximum setting since it will introduce serious noise and detail sharpness will suffer. Everything up to ISO3200 performs quite well. You can save your photos either in JPG or RAW. Having the RAW option really appeases the enthusiast crowd, as it allows for serious post-processing. You can record video in 1080i (60FPS) and 1080p (30FPS) as well as other resolution and frame rates. Video quality is excellent which is further assisted by a fast AF (autofocus) system. Among other features, there is GPS, which works great for geotagging your photos, but it also eats up a lot of battery power. Unfortunately, if you want to use Wi-Fi with this camera you will have to get an external adapter. There is a built-in flash which works surprisingly well even underwater. It too is waterproof, so do not be afraid to test it out. The Nikon 1 AW1 is the perfect camera for extreme sports enthusiasts who want more control over their camera as well as higher quality photos and videos. If you can afford it, it is worth it! 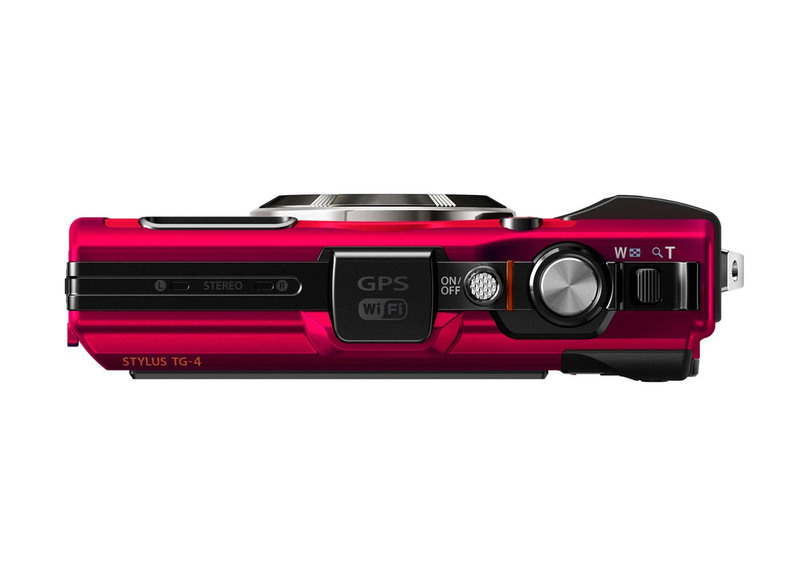 The Nikon Coolpix AW130 is a successor to Nikon's Coolpix AW120. The difference between the two boils down to only a few upgrades, but significant upgrades nonetheless. The most prominent additions is the new grip, NFC connectivity and improved software. This camera is water-resistant down to 30m (100ft), shock-proof up to 2.1m (7ft) and freeze-proof down to –10C (14F). 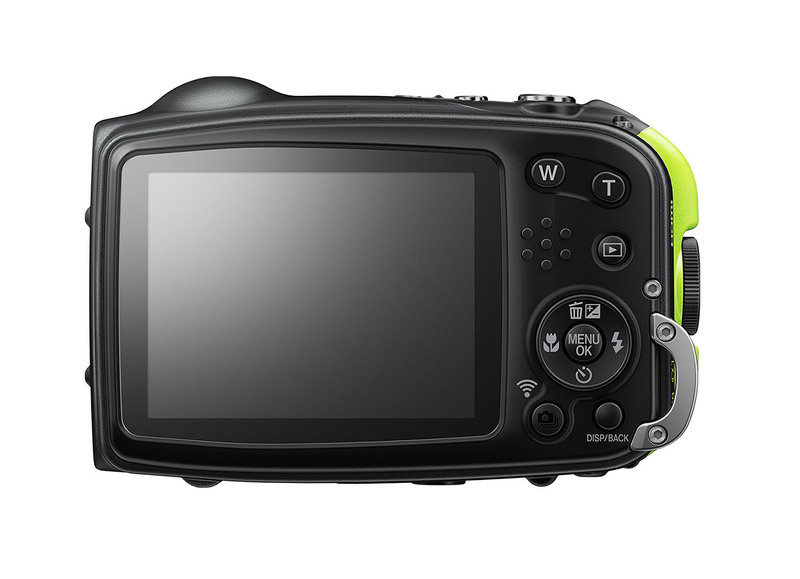 The Coolpix AW130 has a high quality aluminum body with a great rubberized grip. It's design resembles somewhat of a mixture of modern and industrial design. It doesn't feel particularly sleek, but then again this is an action camera, and a cool one at that. It comes in several different colors; orange, blue, black and yellow. On the camera side, we have a 16 MP (megapixel) 1 /2.3-inch sensor. Video is recorded in 1080p FullHD at 30fps. The lens aperture moves from F2.8 to F4.9. There is a 5x optical zoom which translates into 24-120mm full frame equivalent. When fully open, at F2.8 the lens will be able to capture a lot of light and will produce pleasing results. However, while zoom in the aperture gets narrower, allowing less light to come through. This will cause bumping up of ISO levels and slowing down the shutter speed in order to compensate. That is why you might get a shot with more noise present than usual as well as some motion blur. Other than that, all your shots will come out quite crisp, with sharp details and rich colors. Image quality in general is rather good for a sensor of this size – which is more or less the standard sensor size for a point-and-shoot camera in this class. Dynamic range is limited, as with any camera of this type, but the AW130 at least offers a good HDR mode for compensation. The lens-based shake reduction system (VR) will do a good job of compensating for hand vibrations while shooting. Nikon has installed algorithms for noise-supression, which is a good and a bad thing at the same time. Noise reduction is aggressive, meaning you will mostly get low-noise photos, but at higher ISO setting (higher than ISO800) there will be a lot of noise to get rid of, removal of which will result in smudged details. We recommend using automatic ISO but maxing it out at ISO800, unless you are shooting in really dark environments. Performance is where this camera beats most others in class. It can shoot up to 7fps (frames per second), allowing for a great potential of capturing details in motion. It takes about 1s to start up the camera and shoot. Other features include Full HD time-lapse video, slow motion video (480p) at up to 120fps and Panorama photos. All of the above works rather well and we have had no issues to complain about. 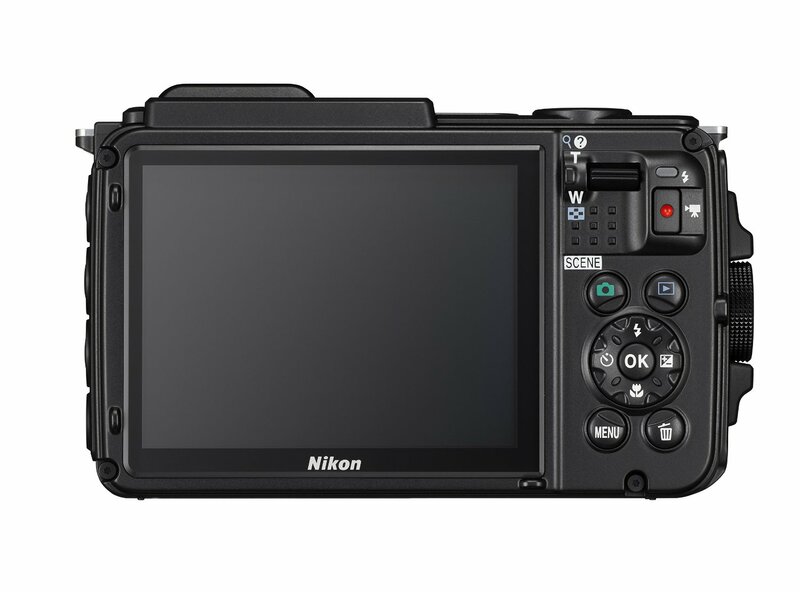 You will be happy to know the Nikon Coolpix AW130 finally introduced Wi-Fi with NFC support. This is a long-awaited addition to the tough camera lineup. It enables you to transfer photos from the camera to your smartphone as easily as touching the two together. On top of that, you have the ability to shoot and record remotely, using your smartphone. Another interesting feature is the GPS and all the goodies it brings along. With the AW130 you will get a pre-installed offline World Map. In combination with GPS, you can use it to display interesting points of interest, map your travel trajectory, see where each photo was taken, etc. It all works offline, too. However, note that using these features extensively will have a negative impact on the battery life. 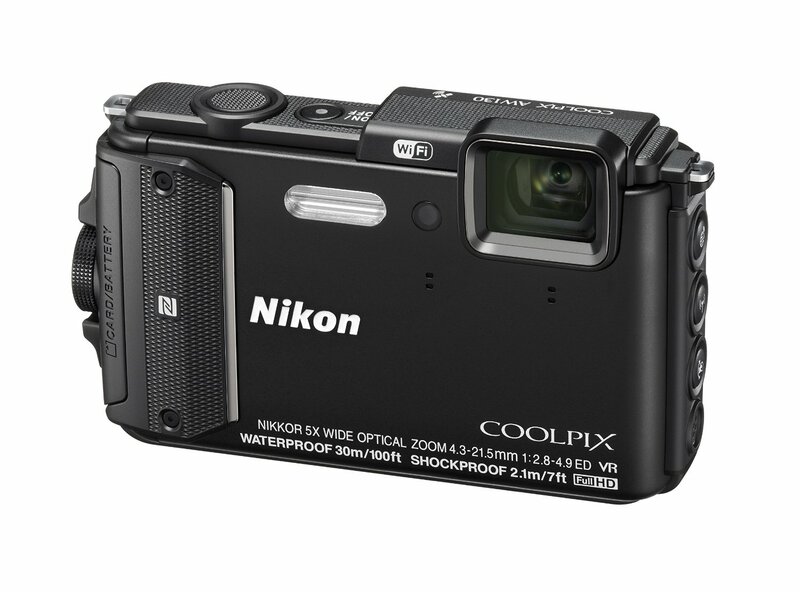 The Nikon Coolpix AW130 is an extremely reliable compact action camera. No matter where you go, it can go with you without you having to worry if it will survive. It is a great comfort knowing you can drop it mud, sand, snow, water and it will still work. It doesn't offer image quality to win any pixel peeping competitions but it will serve you well. It is fast and sturdy and comes with a ton of useful features. Not much more can be asked of a tough underwater camera. For a long time, Pentax and Olympus were the leaders of all that records video underwater, but Canon made a big impact with it's 2nd in line Canon PowerShot D20, and is now coming back for the 3rd time with another successor. 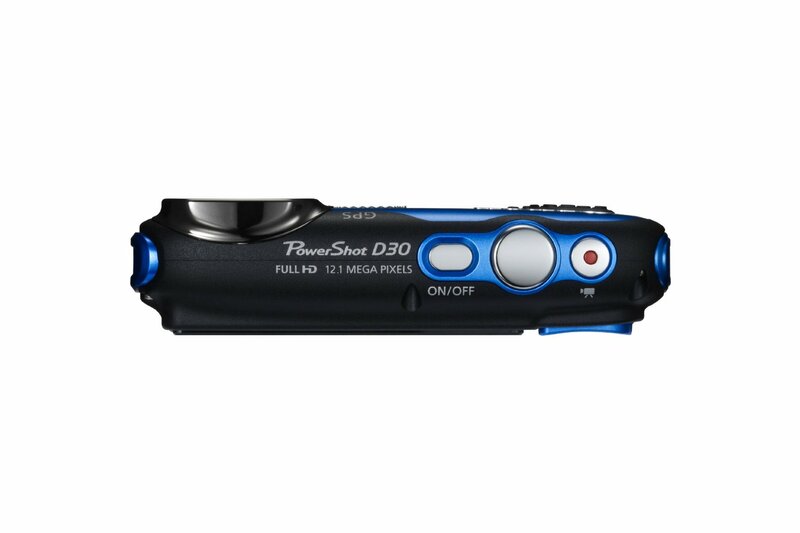 PowerShot D30 is not that much different from it's predecessor, at least when it comes to imaging capabilities – the sensor is the still the same 12.1 Megapixel Back Side Illuminated (BSI) CMOS sensor, with the same zooming and processing capabilities. That is not to say any of this is bad, by any means. This time, Canon focused on upgrading the body, further adding to already impressive ruggedness and sturdiness, which is what a camera of this type is all about. Design is where you will see the most change. D30 is smaller and lighter than the D20, but also simpler in design. In fact, it looks super sleek. It is comfortable and ready for one-handed use. Material used is high quality plastic, cover coated with aluminum. Both on the front and back, there is a rubberized grip area which comes in handy. Canon PowerShot D30 is the deep diver of action cameras. Capable of being submerged underwater down to impressive 25m (82 feet), this camera will do good for more serious divers. Apart from being waterproof, it is also shockproof for up to 2 meters (6.5 feet). It only comes in blue, which is fine considering it's intended purpose. You will be happy to know the D30 comes with integrated GPS, which can be set up using the on-screen menu. GPS allows you to geo-tag your photos, meaning you will know exactly where each photo was taken. On the other hand, same as it's predecessor, it lacks Wi-Fi connectivity, which is unfortunate because there is nothing more convenient than being able to share your photos on the go. Still, this is far from a deal-breaker and hardly a (lack of) key feature. One of the most important features for any camera is image stabilization (IS), especially optical IS. Having built-in IS as a way to compensate for shakes and vibrations makes a huge difference. The D30 packs intelligent optical IS, making one of the best in the market. This ensures you will always get clear photos and nice steady videos. You will also be able to use slower shutter speeds which is very helpful considering the small sensor inside and it's sensitivity to noise at higher ISO. Performance-wise, D30 is powered by the DIGIC 4 processor, which by now slightly outdated. While it is not the fastest action camera out there, is does sit somewhere in the average. The Autofocus system does its job fairly well, with relatively fast and accurate focusing. When it comes to image quality, despite the older sensor, the Canon PowerShot D30 does a good job at capturing clear and colorful photos with pretty solid noise handling. Maximum ISO has increased from ISO1600 to ISO3200. ISO100 and ISO200 perform very well, with no visible noise and with fine details all present. Moving up to ISO400 will introduce some noise, but this is only visible when photos are zoomed in to 100%. ISO1600 still performs with acceptable results, there is visible noise but without pixel-peeping photos look just fine. Maximum sensitivity of ISO3200 will most certainly introduce heavy noise and smudged details. We recommend avoiding this setting if at all possible. 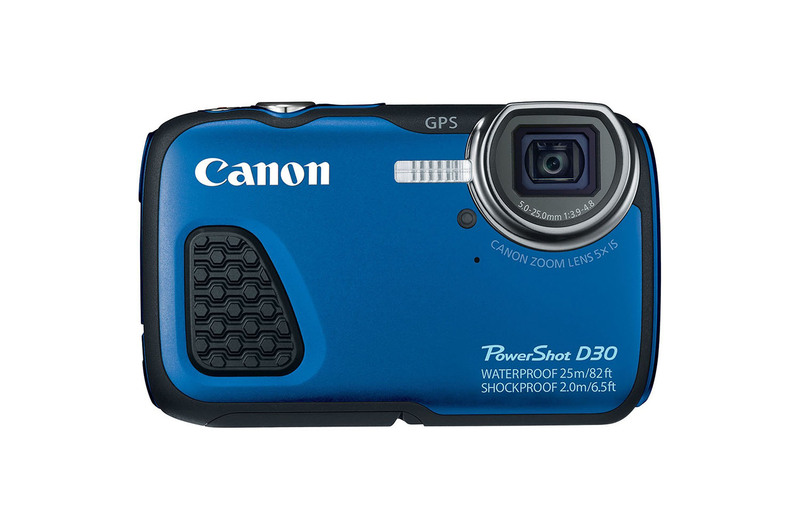 Canon PowerShot D30 is a very capable underwater action camera, though it is a few years old now, it offers a high quality body with solid performance at a very affordable price. Some call it the ultimate adventure camera and we would surely call it one of the best. 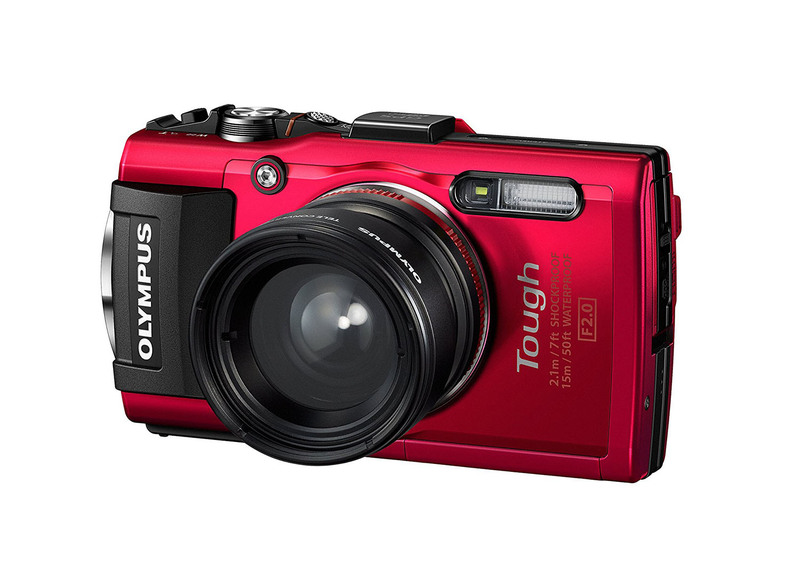 Olympus Tough! TG-4 is the 4th generation of the Tough! Series of Olympus action cameras. More specifically, this is an underwater action camera, capable of diving down to 15m (50 feet) of depth and is shock-proof up to 2.1m (7 feet). The TG-4 definitely deserves the "Tough" branding it proudly wears. We've found the body to be very sturdy, rugged while it still retains a premium look and feel. It is marked as dust, shock and water-proof. Tough! TG-4 is designed for simplicity of use. Indeed, we have found it to be extremely straightforward to operate. 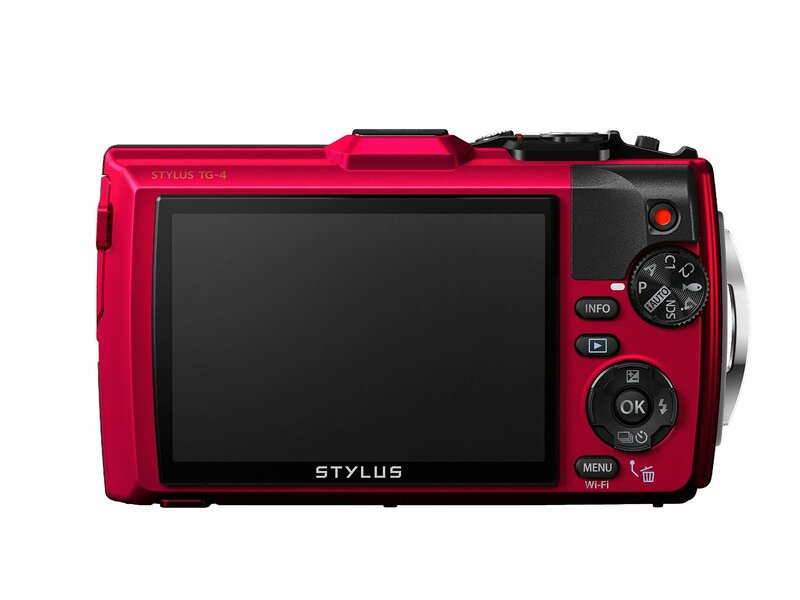 The controls and their placement are pretty standard for a point-and-shoot camera. For example, there is a dedicated video recording button which when pressed will immediately start recording regardless of what shooting mode you are in. When we say the camera is easy to use, this not only because it's smart design, but also due to it's speed and reliability. For a compact camera, it is mighty fast, both with focusing and continuous shooting. While the TG-4 is made for carefree out-of-the-box shooting, it stills offers a ton of manual controls to satisfy even those who consider themselves as prosumers. The main shooting mode dial at the top right corner has several useful modes; Intelligent Auto, AP (Aperture Priority), P (Program), Scenes, Underwater (the little fish icon) and two programmable Custom modes. Auto mode does a pretty good job at identifying the scene and automatically chooses the best settings. We have found this mode to be reliable, although as with any camera, it isn't always 100% accurate. The scenes mode on the other hand, offer up to 19 different shooting scenes, which is quite impressive. It packs a 16 MP (megapixel) backlit CMOS sensor and a non-interchangeable lens of focal length equivalency of 25-100mm. Wide-open the lens are at F2.0, which is a great aperture for taking in lots of light and achieving that pleasing shallow depth of field effect. The camera is capable of 4x optical zoom, although as you zoom all the way, the aperture drops to F4.9, which is a more conventional aperture. This zoom range is not overly impressive, to say the least, but it is on par with the standard zoom capabilities of similar cameras. Image quality is good. Not exceptionally good, but for a compact camera in this class, we would say the results are more than satisfactory. The ISO tops at ISO6400, but beware of noise at those ISO levels. While it does handle noise well at lower ISO, keep in mind that this is a relatively small sensor, and is not built for high quality nighttime photography. At least not unless you utilize its sensor stabilization and opt for a slower shutter speed. But the scenarios for this type of shooting are limited – the camera needs to be kept steady and the subject immobile. Video recordings are equally good, with the maximum resolution being Full-HD (1080p). Video too is stabilized with built-in Share reduction. Olympus Tough TG-4 offers a few more tricks up its sleeve. There is a Macro mode which enables you to get super close to your small subject, allowing for capture of fine details in great quality. We would say it's Close-up capabilities beat everything else in class and are even on par with cameras which primarily designed for macro shooting. There are also options for recording slow motion videos using 120fps or 240fps mode. The TG-4 is one of the best action cameras we have reviewed. For a relatively low price, you will get an extremely resistant camera which you can take on all your adventure or extreme sport trips. Scuba diving, skydiving, snowboarding, rafting, you name it, the TG-4 can take it. It offers good image quality and tons of custom options. Noise handling and image stabilization could be better, but are not bad. 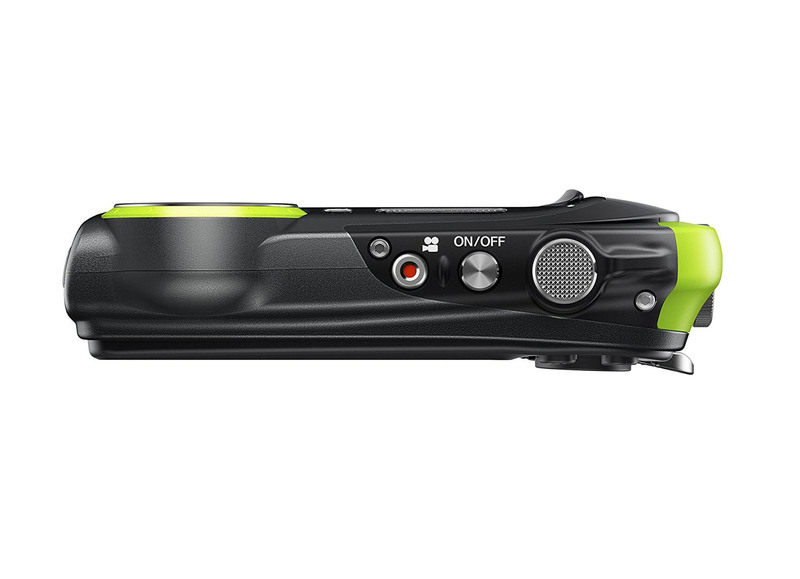 If you're in for a new action camera, you should seriously consider choosing this one. – Camera design is a very important factor when it comes to underwater cameras. Ideally, the camera should have a texturized, reflective finish. This is so it’s not slippery and easily dropped, which is a common occurrence with wet plastic and metal. Reflective colors are important because if you do drop it, it will sink and will be easier to find. Security belts which you can tie around your neck or hands are also important. Price/Product rate – In our reviews, we make sure to carefully weigh camera features against its price. Sometimes a cheaper camera is simply a better buy regardless of your budget. The same way a camera may seem overpriced but it might offer a special functionality which increases its value. Weight – Underwater cameras are as heavy as any type of camera. It depends on the model. The heavier it is, the faster it will sink. That’s why many of them come with a floating strap accessory which ensures your camera stays afloat. Other than that, there aren’t too big differences in weight in this class of cameras so it is not particularly important factor to consider. Waterproof capabilities – Obviously all waterproof cameras are water-resistant to a certain degree. The main difference is in how deep can a camera dive in. But there are other potential limitations to consider as well. For example, how much time can the camera be used underwater? Grip – A good grip is extremely important when it comes to underwater cameras or any action cameras. A well-designed grip will help you keep your camera steady and safe in your hands, reducing the chances of accidental drops. Image Quality – Underwater consumer cameras aren’t known for their image quality. Their main selling point is their ruggedness. But that doesn’t mean these cameras offer bad image quality. As with any product, you’ll get what you pay for. Most of the features about the same quality as your average point-and-shoot camera, but we’ve made sure to include some enthusiast-level options as well. Adaptability – We examine each camera’s ability to adapt to different situations. Rugged cameras are indeed flexible by default, but some cameras stand out with additional accessories which can expand camera functionality. Ease of Use – We primarily focus on reviewing cameras that are user-friendly and easy to use, with some options available for those who would like more control and complexity to their controls. Availability – Most of these cameras you can buy at your local retail store, but the best prices are found on Amazon and other online sites. In any case, we only recommend cameras that are widely available for purchase. How deep underwater can underwater cameras go? It depends on the camera, but the usual range is 15m – 30m without any additional water protection casing. What is the best camera in terms of maximum depth? Underwater camera with best image quality? 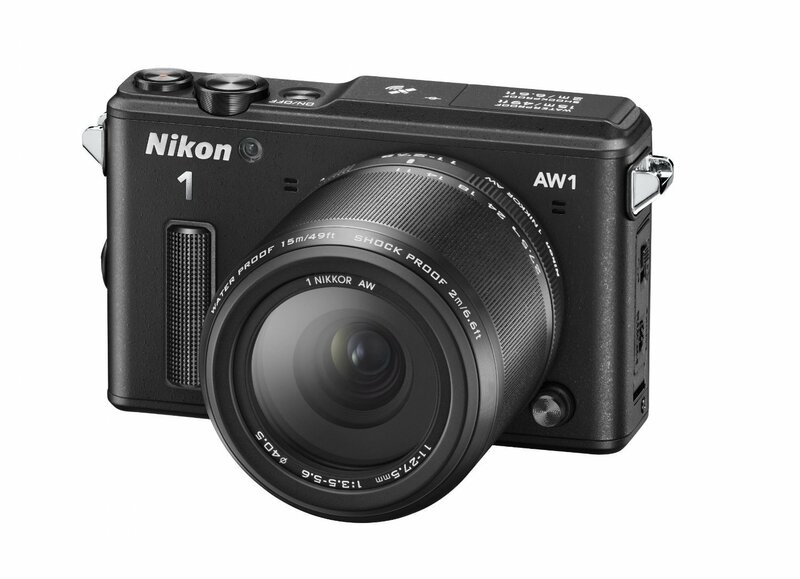 Nikon 1 AW1 is a mirrorless camera with a 1-inch sensor and interchangeable water-resistant lens. This is an enthusiast-level camera designed specifically for underwater photographers. It also features a premium build quality. Why are upgrades between rugged cameras successors slow? Manufacturers are taking it slow with underwater cameras, i.e. we don’t often see major upgrades between generations, because they still need to sell their regular cameras. If an underwater camera had the same features and specs as a regular camera plus the advantage of being a rugged, water-resistant camera, consumers wouldn’t have a reason to buy regular cameras. There’s always a trade-off. Also, it can be technically challenging to incorporate advanced features and large sensors while still retaining water-resistance. Do I need to buy additional accessories or external case to protect my camera from water? No, underwater cameras are water-resistant out-of-the-box. You just need to watch out for limitations in depth and longitude of underwater usage. If you need more depth than you should consider investing in an additional protective casing. What is the difference between underwater cameras and regular cameras, aside for water-resistance? Underwater cameras are not only water-resistant, they are generally rugged, tough products. Most underwater cameras also come with shock, dust, and freeze-resistance. Can you recommend a budget-friendly underwater camera? You should take a look at the Fujifilm XP80. Capable of diving underwater down to 15m (50ft), recording Full HD video at 60FPS and producing impressive photo stills, it can even connect to your smartphone via Wi-Fi for easy photo sharing. All of this comes at a much lower price than that of other contenders listed here. Do underwater cameras have any underwater-specific features in terms of photo capture and processing? Most underwater cameras do have a dedicated “underwater” scene mode. Some offer additional sub-modes such as Underwater Flash, Underwater Macro, etc. 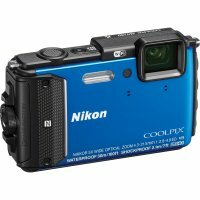 I am looking for a rugged camera that can go underwater but also has zoom capabilities. What is the best option? 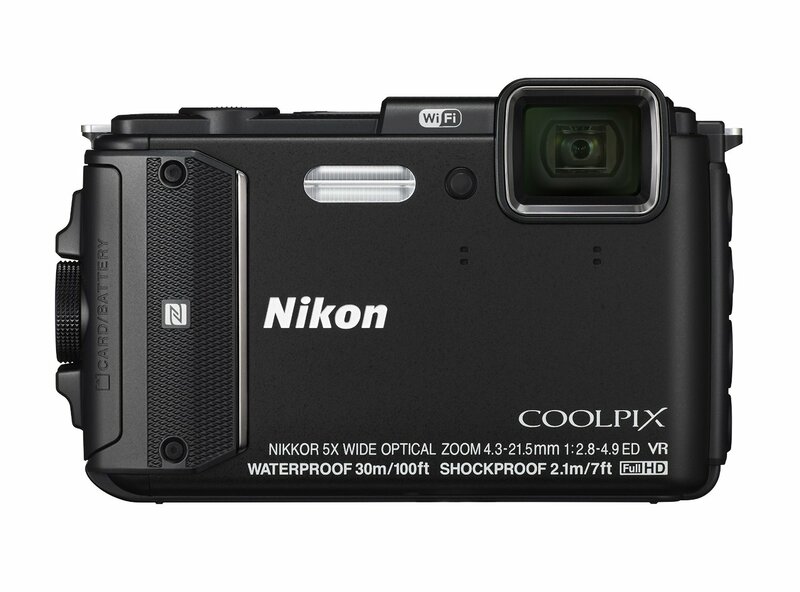 Nikon Coolpix AW130 can dive in down to 25m of depth and also features 5x optical zoom. What is a good all-around rugged camera that is not too expensive? Olympus Tough TG-4 is what we would recommend to someone looking for an underwater camera that will also do a good job as a general-purpose camera. It offers fast performance, it’s extremely easy to use, but also comes with a ton custom functionality, if you need it. It’s very durable in all conditions and has a few areas where it excels. One such example is its ability to get focus very close to the subject, allow for extremely close-up Macro shots. 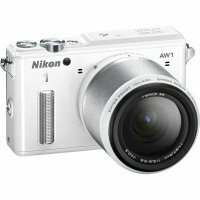 By the look of this review the Nikon AW1 is the best. I have an old Olympus Ư770SW which made beautiful pictures. Somehow at a swimmingpool with natural spring water (slightly salty) the water got in. Haven’t done anything to it so far. It happened 6 month ago. What shall I do to revover this ?